If you're like me you waste your time trying to figure out which battery is full from the other ones. 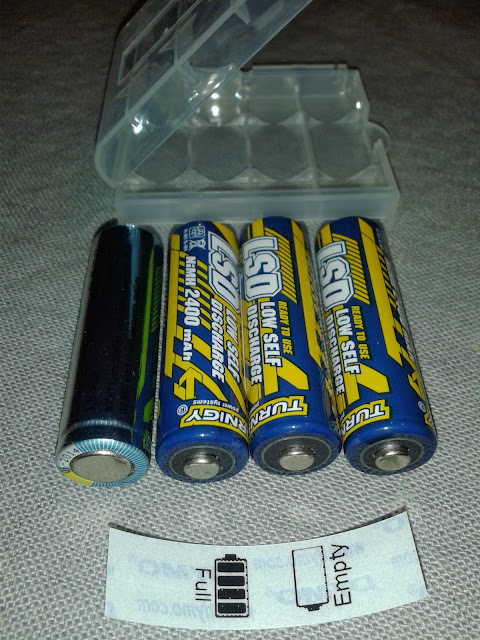 Alkalines.eu solves that issue elegantly: all you have to do is put your charged batteries upright in your battery box and the empty one upside-down. If you feel you are going to forget this, you can simply print their logo and stick it on your battery box.